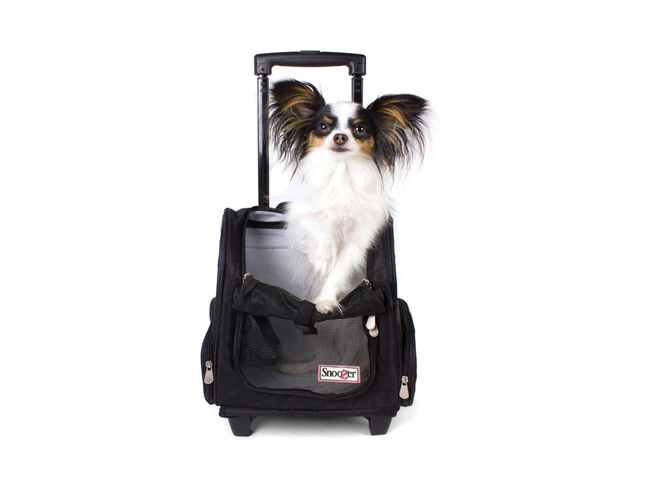 This durable carrier has a sturdy frame and soft sherpa lining to make sure your doggie is traveling in style and comfort. I like the convenient zippered pocket and adjustable shoulder strap. 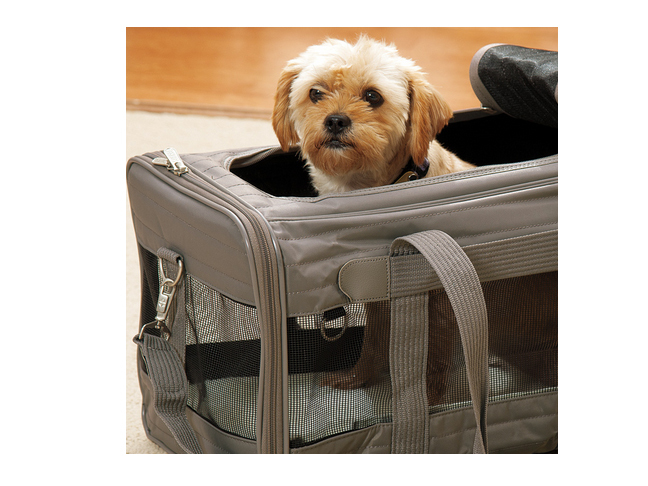 This carrier is a win-win for you and your pet. 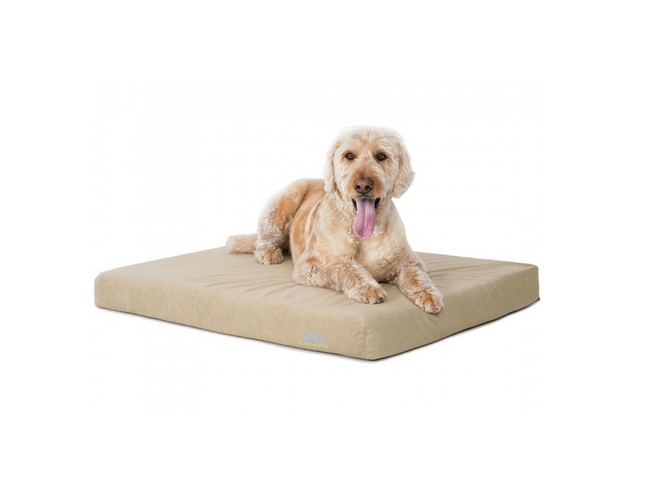 It has a traditional opening along with a unique flip-up door on the roof to easily feed and soothe your dog. Bonus: It’s also a great place for house training your doggie. 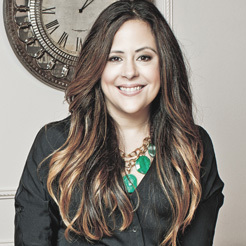 Love fashion? 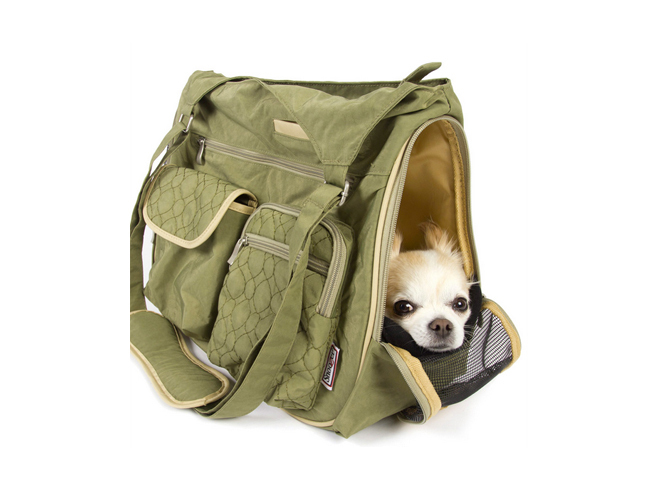 This carrier is super on trend and the most stylish way to carry your small dog! 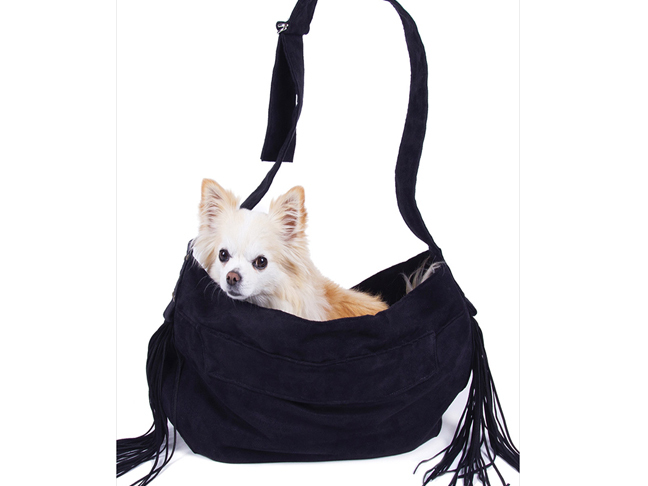 She’ll love how comfy it is: It’s made of rich luxe suede and lined with plush Minky Curley Sue fabric. 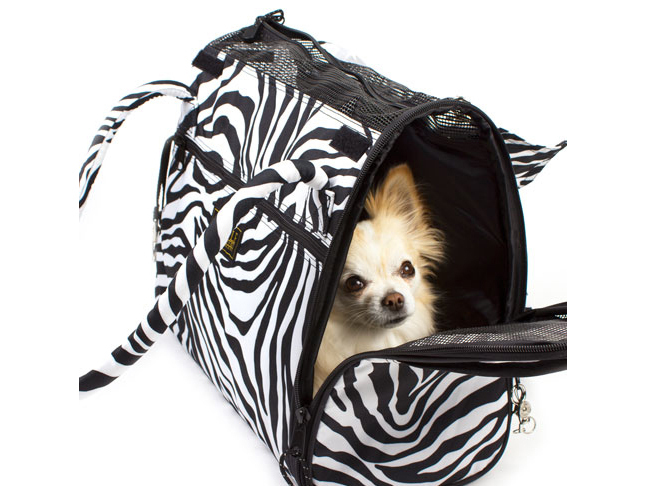 This lightweight carrier comes with mesh top and zip-around access door – and the zebra print makes it a fun, stylish carrier for you to tote around. Tuck your small dog into this sporty, messenger-style bag. A large front zippered pocket makes it easy for you to carry her things along with you. 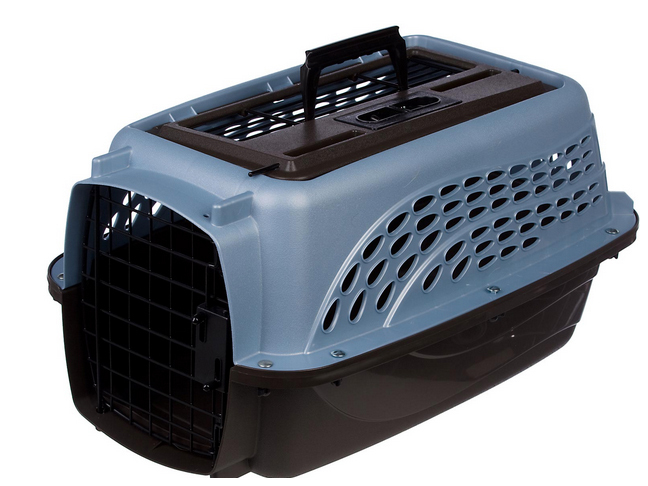 This carrier works well for both small and medium-sized dogs. It’s also approved for on-board use on airplanes, making it a convenient carrier for families who like to travel. 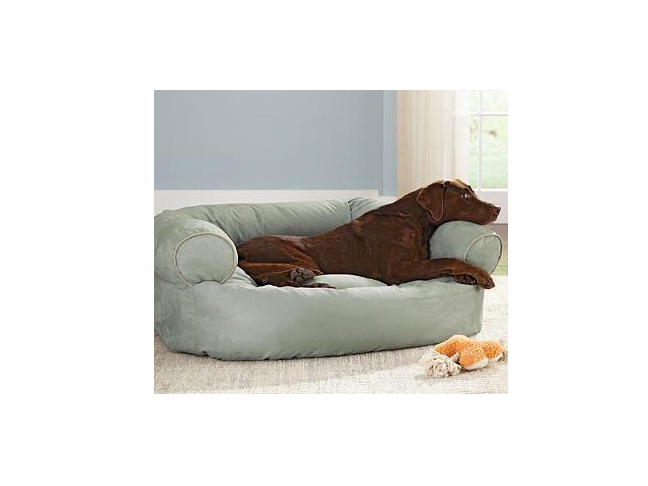 This neutral dog bed will blend nicely with most rooms. 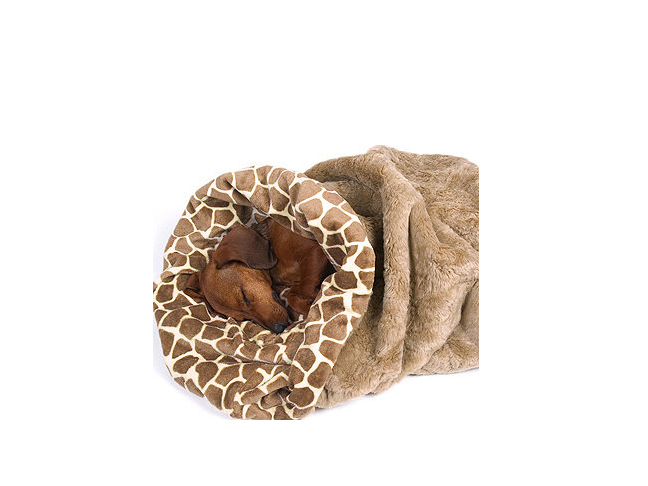 Bonus: The wraparound back bolster adds extra support for your sleepy buddy. The luxe faux fur is reversible and versatile–and great for dogs that like to snuggle. Bonus: You can also shake it out into a blanket. This bed holds its shape well, and it’s easy to clean. 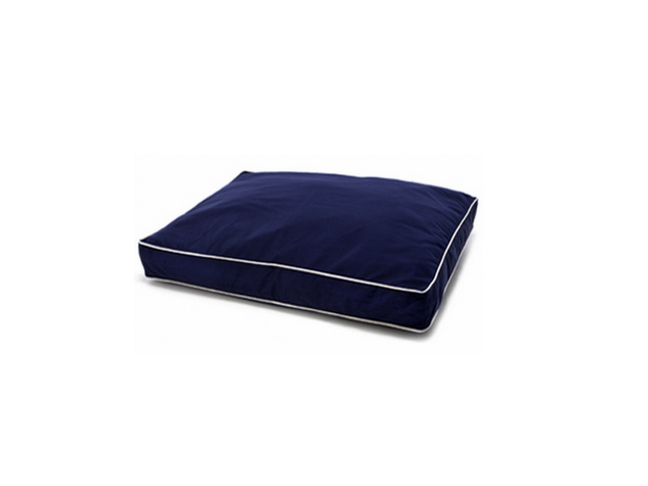 This plush bed rolls up easily for convenient travel.